Changes to IMDG Code: What you should know IMO has published changes to The International Maritime Dangerous Goods (IMDG Code), incorporating the 2018 edition (feat. Amendment 39-18) which comes into force on 1 January 2020 for two years and may be applied voluntarily as from 1 January 2019. The IMDG Code Supplement, 2018 Edition, once published, will render the previous 2014 edition. As of 1 January 2018, the 2016 edition of the IMDG code (incorporating amendment 38-16) is mandatory while the IMDG Code Supplement, 2014 Edition remains valid until further notice, IMO notes. The 2018 edition includes many changes as follows: Throughout the text ‘risk’ now reads ‘hazard’ and ‘risks’ reads ‘hazards’. There is a new paragraph 2.0.6, Classification of articles as articles containing dangerous goods N.O.S. A new entry for 3227 was added to the table in paragraph 2.4.2.3.2.3 for Class 4. New entries for 3109, 3116, 3119 were added to the table in paragraph 2.5.3.2.4 for Class 5.2. Chapter 2.8, Classification of corrosives, has been overhauled. There is clarification in paragraph 3.1.2.2 that only the more applicable PSN be used when there are several distinct ones under one UN Number. The stowage categories for several class 1 entries have been amended. There have been several updates in chapter 4.2 to existing packing instructions and a few new packing instructions added. There is a new IMO type 9 tank added for road gas elements vehicles for the transport of compressed gases of class 2. In chapter 5.2, paragraph 5.2.2.2, the specimen labels are now presented in a landscape table. Chapter 5.3 is now extended to cover bulk containers. Part 6 has several minor changes to some of the chapters. There is a new table added to paragraph 7.2.6.3, which provides segregation exemptions for organic peroxides UN numbers 3101 to 3120 with sub-risks that clash with other organic peroxides. Section 7.3.7 is restructured to merge the amendments to the Model Regulations and the existing text. New segregation group codes Eighteen new segregation groups are identified (see paragraph 3.1.4.4) Section 7.2.8 has been updated to reflect the new segregation group codes. SG1 has been amended and new segregation codes SG76, SG77 and SG78 added. Updates to the Dangerous Goods List (DGL) There are new entries TOXIC SOLID, FLAMMABLE, INORGANIC, N.O.S. (UN 3535) and LITHIUM BATTERIES INSTALLED IN CARGO TRANSPORT UNIT (UN 3536). There are new entries UN numbers 3537 to 3548 covering ‘ARTICLES CONTAINING DANGEROUS GOODS’. The eighteen new segregation groups have now been coded and included in column 16b of the DGL (note: if a substance belongs to a segregation group (as identified in paragraph 3.1.4.4) it is now identified in the DGL, column 16b, by inclusion of the ‘SGG’ code. The intention is to make the identification of belonging to a segregation group more easily recognizable directly from the DGL). The heading in column 4 of the DGL now reads ‘subsidiary hazard(s)’. Many substances in the DGL have now been assigned SG35, SG36 and/or SG49 (stow separated from acids/alkalis/cyanides) The EmS guide has been updated and revised to reflect new assignments in column 15 of the DGL. 2018 Edition The Code has undergone many changes over the years, in both format and content, in order to keep up with the rapid expansion of the shipping industry. Amendment 39-18 includes revisions to various sections of the Code and to transport requirements for specific substances. It was adopted by IMO’s Maritime Safety Committee (MSC) at its ninety-ninth session in May 2018. The 7 parts of the Code The two-volume Code is divided into seven parts: Volume 1 (parts 1, 2, 4, 5, 6 and 7 of the Code) contains sections on: general provisions, definitions and training, classification, packing and tank provisions, consignment procedures, construction and testing of packagings, IBCs, large packagings, portable tanks, MEGCs and road tank vehicles, transport operations. 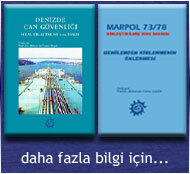 Volume 2 contains part 3 (Dangerous Goods List, special provisions and exceptions), appendices A and B (generic and N.O.S. Proper Shipping Names, and glossary of terms) and an index.